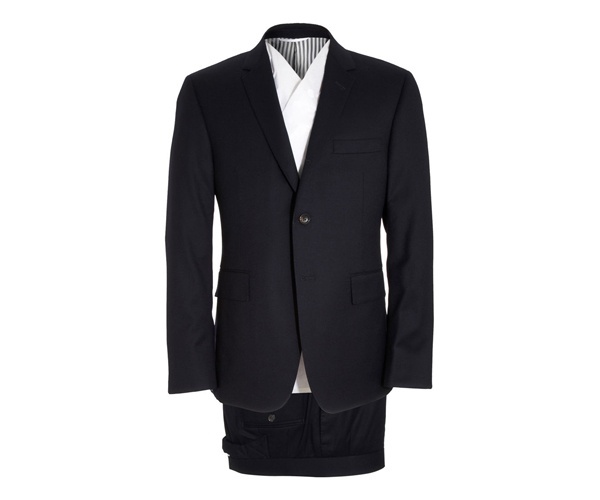 Fresh from the folks at Thom Browne comes this flannel two-piece suit, a classic American sack suit. Featuring a button-on-center design and notched lapels, Browne claims this line is inspired by the spirit of America that hit its peak in the 1960s. Think JFK, think Buzz Aldrin, think LBJ. Available online now. This entry was posted in Suits and tagged Buzz Aldrin, JFK, LBJ, Suit, Thom Browne. Bookmark the permalink.